Marilyn Shannon is a Facilitator, Superior Court Mediator, Trainer, Consultant, Life/Business Coach, and Speaker at Carolina Performance in Raleigh. Marilyn's involvement in many mediation programs led to "Dialogue" her private coaching practice where she specializes in working with children, teens, families, couples, individuals and businesses. Marilyn works with her clients on all levels of life and business performance, personal growth, development and wellbeing. Marilyn Shannon is an experienced facilitator, superior court mediator, trainer, consultant, life/business coach, and speaker. Marilyn's involvement in many mediation programs led to "Dialogue" her private coaching practice where she specializes in working with children, teens, families, couples, individuals, and businesses. Marilyn works with her clients on all levels of life and business performance, personal growth, development, and well being. Marilyn’s interest in emotional and stress management directed her into becoming a licensed Heartmath provider 12 years ago. Heartmath is a complete system for emotional and stress management recognized by hospitals, athletes, schools, and industry. Marilyn found herself intrigued with our "heart's intelligence" and the power we have to be insightful in managing our own emotions and stress. As a speaker, Marilyn is motivational and inspirational. 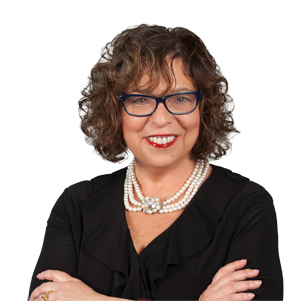 Marilyn focuses her talks and workshops on communication, leadership, listening, personal growth, and personal freedom; and has facilitated large and small group meetings and workshops. Marilyn is known as “the listener” and takes a holistic approach with each client. In Marilyn's previous life, she taught special education in the public school system, owned a furniture store for many years, was a marketing and advertising representative in both print and television, and the co-founder of business networking groups. Marilyn is passionate that we all have the most fulfilling life possible. Marilyn also encourages her clients to connect with her between sessions for a brief check in when necessary at no charge via phone, text, or email, and is happy to consult any client on their marketing, business, school, projects, life, or any such need.